There are many kinds of websites nowadays. And sometimes it is difficult to find the one you wish. 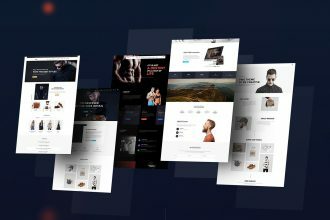 In this category you can choose from professional PSD websites and website sets and use them for creating the website for you, you clients or company. Only the best recourses were taken to creating our modern sets. Enjoy! 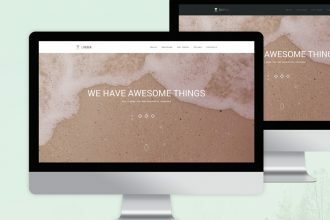 Download our new Freebie – Free PSD CONSTRUCTION Website Template for implementing your professional ideas and creating the best design! Use Photoshop to make all the necessary customizations. Enjoy! Download our new Freebie – Free PSD AGENCY Website Template for implementing your professional ideas and creating the best design! Use Photoshop to make all the necessary customizations. Enjoy! 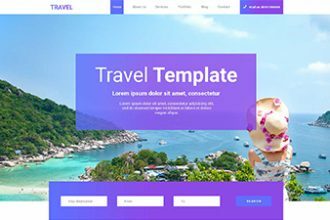 Download our new Freebie – Free PSD Travel Website Template for implementing your professional ideas and creating the best design! Use Photoshop to make all the necessary customizations. Enjoy! ONLY 2 days – 50% DISCOUNT – SPECIAL OFFER for Black Friday! Are you ready for Black Friday Sale! Follow the link and get an opportunity to use this uniquely amazing offer! Only 2 days – 50% discount for more than 4000 Premium and Free Templates in PSD and AI! ONLY 2 days – 50% DISCOUNT – SPECIAL OFFER for Black Friday! 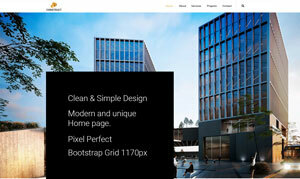 Personal Grid is grid based minimalistic, responsive free WordPress theme. It is made using flat and minimal design for creative people. 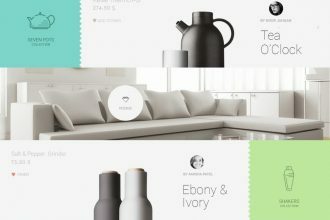 This is a online shopping template psd that uses beautiful photos as sections giving the overall design a high class furniture website look and feel. 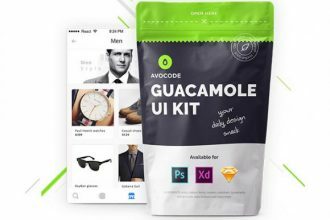 Guacamole is a free UI kit Photoshop, Adobe Xd or Sketch that includes 150+ icons, 70+ elements, 600+ retina-ready layers and 500+ vector shapes. Need help with pixels and vector shapes in Photoshop, Adobe Xd or Sketch? The Guacamole UI kit will get you going. 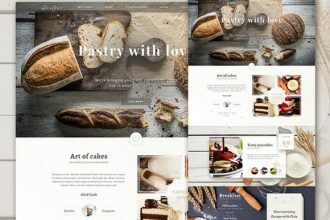 There you can download free PSD one page website template for bakeries designed and for inspiration included. 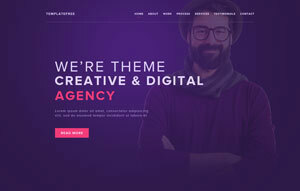 Beautiful PSD website template can be useful for many interesting ideas. Enjoy! 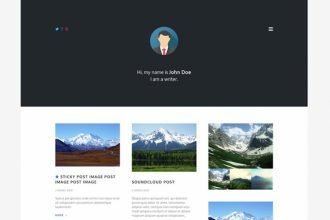 Unika is a free one page psd template that with attractive design.with handy features for any user. Based on Bootstrao 3 it contains Font Awesome icons, Google web fonts, 2 color schemes and minimalist strict forms. This template is suitable for business, creative agencies, landing pages and much more. 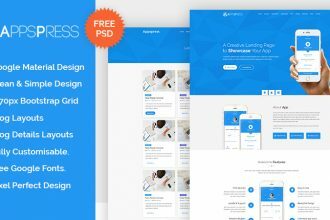 Appspress – is material app landing PSD template. It’s very clean, professional, creative, simple, elegant and modern designed PSD template for present and promotes your mobile app website. Two Theme – Freebies for Multipurpose PSD Template comes with 6 homepages – is designed for multipurpose of use, focus on creative agency and business, included event, personal and ecommerce homepage. Two is all you need for your website. Thank you so much to laingoc kien for this professional Free Mockup!